First of all, my Facebook page (have a look here) has over 50 Likes. *awww* I barely can contain my excitement. I know that compared to other pages it’s rather low. But considering I didn’t start this too long ago it’s big news for me and it also means I hit a personal landmark. A while back I was thinking I should do something for my 50th Like and well, here we are. Royal Icing is something I need to work on. Keep in mind, this is my first giveaway and I am, by no means, one of those big blogs that get nice big stuff from big companies. 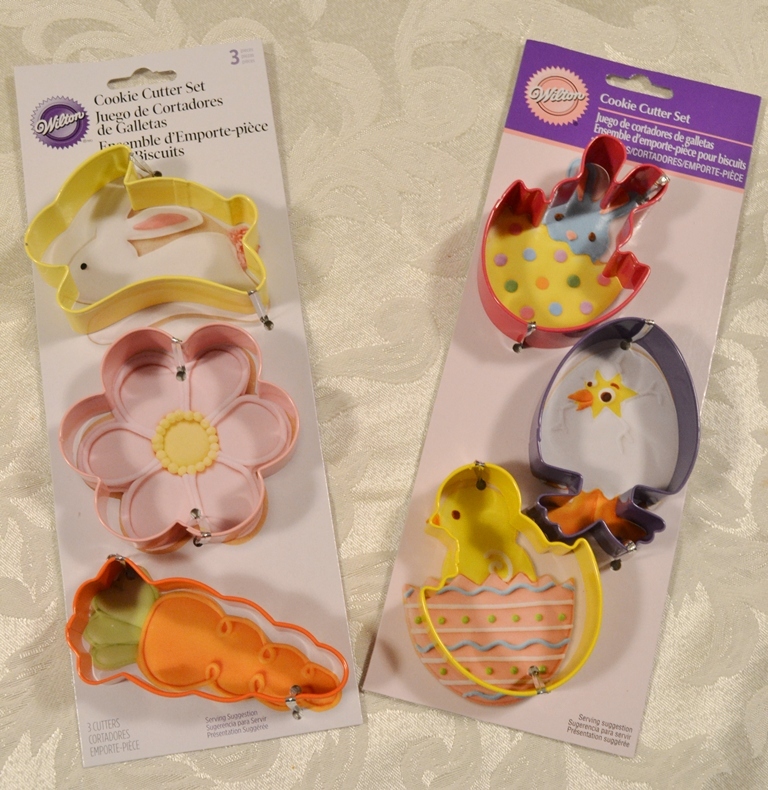 This is an Easter Giveway and you can win these two lovely sets of Wilton Easter Cookie Cutters. The winner will receive two sets of 3 cutters each, e.g. you end up with six cookie cutters. – The contest will run from Sunday, March 11th, 2012 until Sunday, March 18th, 2012. Disclaimer: Both cookie cutter sets where purchased by me and not provided by Wilton. I was not paid by Wilton for advertising for them or any sort of thing. 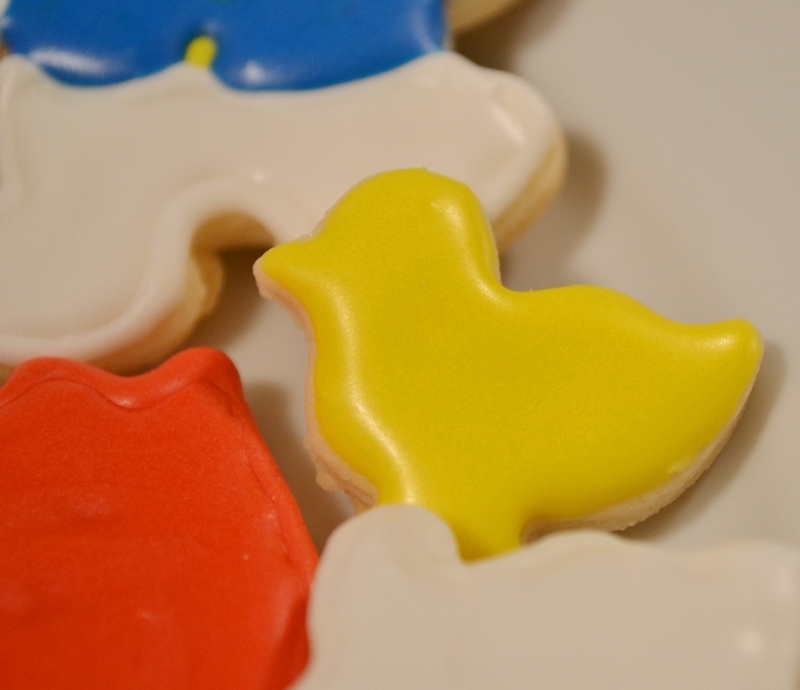 Posted in Uncategorized and tagged blog, cookie cutter, easter treats, giveaway. Bookmark the permalink. I love this blog! 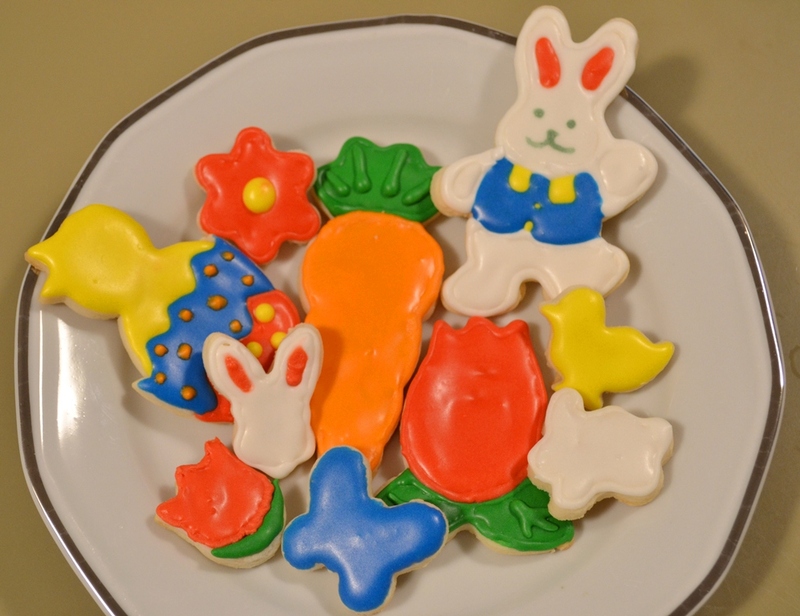 And my favorite Easter treat has to be the sugar cookies that we make every year. Chocolate eggs are good too! And I “like” your facebook page! The icing really makes these cookies look good! I am glad that you are making progress with this site, I enjoy reading of your culinary adventures. I favorite Easter treat is anything with chocolate! oh gosh, probably cadbury creme egss. I’m a bit addicted to those! My favorite Easter treat is marshmallow eggs. 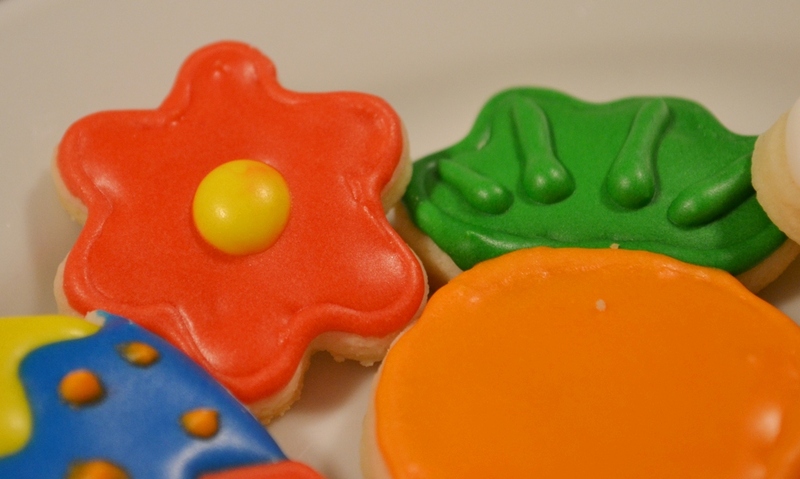 I wish I could try one or two or….of these cute easter cookies!! I love Easter eggs. I almost have to stop myself from taking the kids eggs after the hunt. I probably love the malted milk eggs the most, them or marshmallow peeps. Gotta love food coloring! I’m actually not so much into the whole sweet stuff during easter, more into the the lamb roast with Feta cheese (which was marinated in oil and herbs before) and cherry date tomatoes which my mom always makes for easter! HEAVENLY I tell you!! You have given me the inspiration to try the Lalaloopy cake pops for my little granddaughter. She has every mini Lalaloopsy doll except Tippy Tumblelina and Sir Battlescared. She knows all their names and what pet and accessory goes with each. Your cakepops were do adorable, I hope I can do half as well. By the way…my granddaughter is only 4 and she eats, sleeps, and talks Lalaloopy’s and her mom-mom’s cake pops. I think I should give it a try and see if she will recognize them. Thanks again for your pictures and instructions. You are very welcome. It is a bit of work but so much fun nevertheless. And the kids loved it, so if your granddaughter is Lalaloopsy crazy, she will like them.